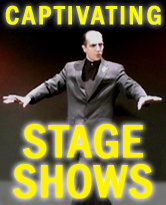 Interactive Close-Up Magic, Mind Magic & Stage Shows for Private Functions & Corporate Events! 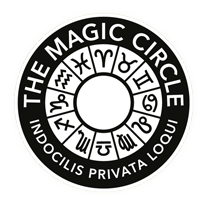 As a long-standing member of the famous Magic Circle, in London, Julian James is one of the most versatile and skilled specialist magical entertainers in the world today. His unique and astonishing Mind Magic and special brand of close-up magic causes people's mouths to hang wide open in disbelief! He leaves a stunning impression wherever he goes. It's the very impact Julian creates that makes him first choice for so many clients. He's able to walk into any room – or onto any stage – and create a compelling, magical atmosphere that brings the occasion to life, infusing it with intrigue, laughter and amazement. When Julian shows up, people who don't know each other are seamlessly brought together, there's an irresistible 'buzz' all around, and the essence he creates can only be described as magical! Simply put, Julian James knows how to make events totally unforgettable. Corporate events are one of Julian's favourite environments for presenting his astonishing Mind Magic and close-up magic. Having Julian appear at your function is the perfect way to make an otherwise boring drinks reception a captivating feature of the evening as Julian 'mixes & mingles' with your guests. It's also the perfect way to turn a mere dinner or banquet into something much more than just a sit down meal as Julian performs a unique mystery show at each of the tables. Julian has been entertaining clients at business receptions, corporate dinners and countless other related functions for many years. He even offers a full evening stage presentation for award ceremonies and product launches that captivates the entire room from the centre of the platform. He can even deliver your key company messages, using his magic as a powerful way of communicating what you want to to get across to your clients. Click here to learn how Julian James can help turn your corporate event into a memorable experience that is guaranteed to delight and astonish your guests, and have them thanking you for providing them such a fantastic experience. Julian is called upon to be the 'special guest' at countless private parties each and every year. This is because people realise the sheer impact Julian creates, wherever he appears. 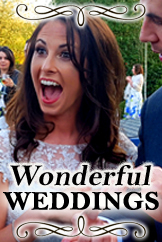 From surprise birthday parties to weddings – and a full list of other gatherings and celebrations – Julian specialises in creating a format of entertainment that is just right for the occasion, turning it into an experience people never forget. 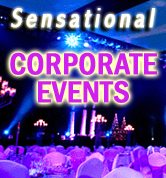 Click here to lean more about how Julian can turn your private party into a sensational success! You can think of Julian's Cabaret Show as an intimate yet formal show that is performed to a small group of people from a platform, or from the front of the room. This type of performance would be perfect for a house party, a private club (or private area of a restaurant) or a drawing room where people are able to gather together to form a small audience. 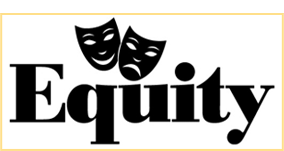 Click here to enquire about Julian's Cabaret Show. If you're organising a bigger event, such a large-scale awards ceremony or a business conference, and you'd really like to impress your clients in a lasting way that has massive impact, Julian's mesmerising full stage show is the number one choice for you. Julian's show incorporates all the important elements of audience participation, astonishing magical effects and great entertainment – as well as delivering your key company messages – into a experience that is simply unforgettable! There are countless possibilities open to you. Julian can also customise his show towards a particular theme or premise so that what he delivers is not only mind blowing, but totally original! Click here to discover more about Julian's stage presentations. If the type of event you would like Julian to appear at is not listed here, please use the contact form to make an enquiry and submit the details of the occasion you're organising. You will be contacted to discuss your requirements in great detail. This will ensure that Julian provides you the solution that is perfect for your event.